Since a few years, Google has stopped using SketchUp community Models to populate its 3D environment and switched to another technology. I'm wondering what GIS, LIDAR Image or 3D automatic method (it must be automatic) they are using to create this new realistic 3D environment all over the world (one can see for example underneath a bridge, under different trees and objects in 3D) ? Just a guess, I think the 3D effect is generated using some kind of draping of images/street views onto 3D sketches/surfaces. I guess that's where the rough edges come from. It does not appear to be real 3D technology like photogrammetry because those technologies generate smoother, more realistic looking 3D surfaces just as if you look at the terrain from a distance. At one point of time, I thought Google was under pressure to generate those patchy 3D trees to avoid getting legal issues about looking to peoples' backyards. Not the answer you're looking for? Browse other questions tagged google-earth 3d-model or ask your own question. 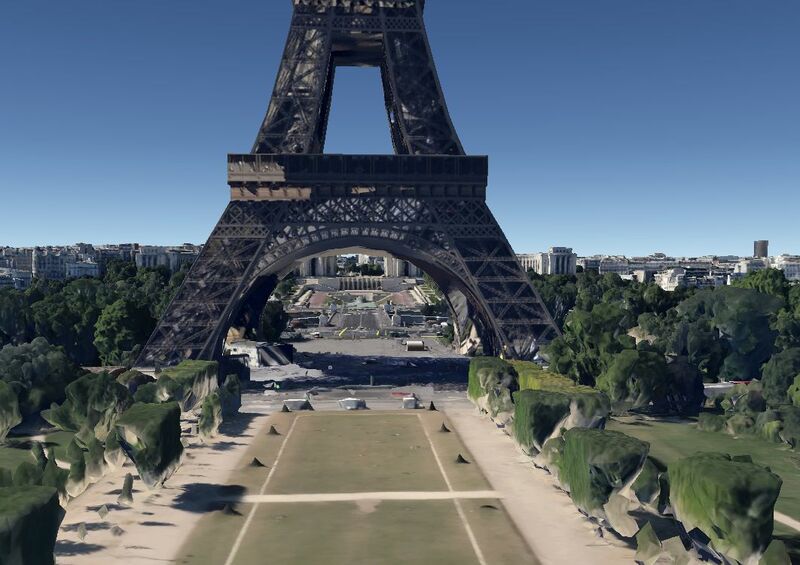 How accurate are measurements in Google Earth?